Please use the above size chart to determin your size. The fitting of the playsuits varies slightly. New limited collection! 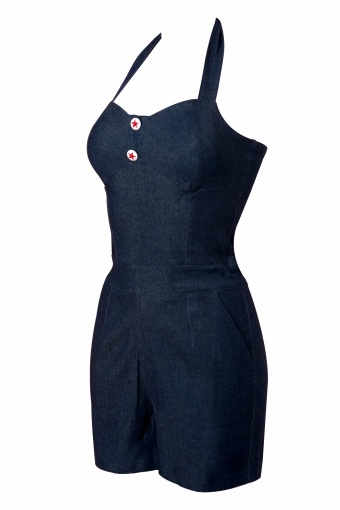 The Fresa Playsuit Denim by Collectif. Ahoy! When you're not actually going into the pool, but would like to romp around looking adorable, this playsuit is the way to go. 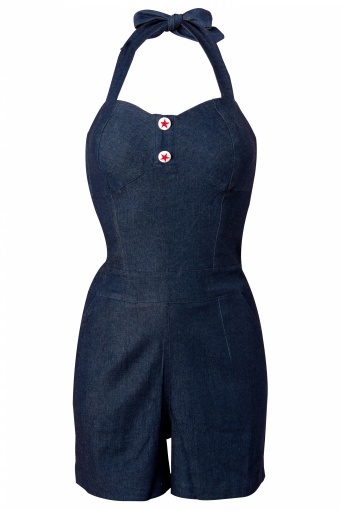 Become the cutest one at the beach, in this flirtatious playsuit in peppy stretch denim with two bright white buttoms with scarlet stars. 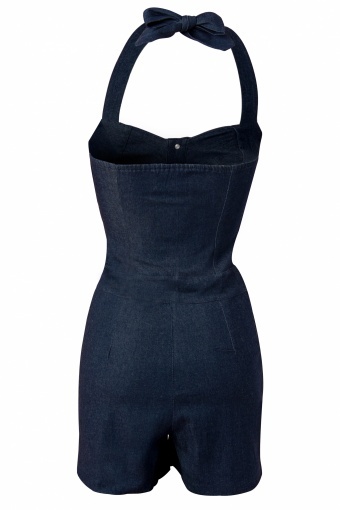 This halterneck piece has very flattering pants with pockets, sweatheart neckline, and a concealed zipper at the side. 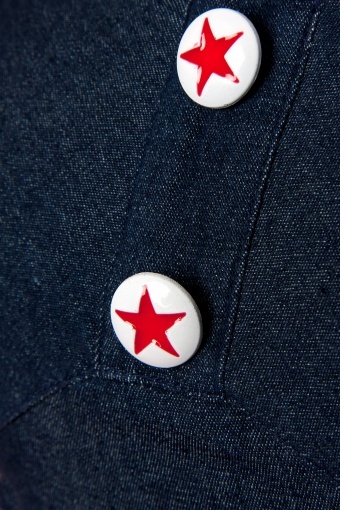 Elastic hem at the back for a comfortable fit. Also available in fabulous red hibiscus print!